Tri-County Inspection Co. Inc. is a privately-owned firm serving the Delaware and Lehigh Valleys, as well as Central New Jersey and Southern New Jersey. We have inspected over 80,000 properties during the past 33 years. Our goal has always been to provide our clients with the most thorough inspection and dictated narrative report in the profession. Our training, experience, and standards enable our inspectors to provide our clients with an education on the conditions, system operations, and required maintenance of a potential real estate purchase. Each of our inspectors are full time employees and do not provide or promote any additional services. All of our field staff has extensive construction experience prior to being trained as a Tri-County inspector. As career professionals, our inspectors are all Certified ASHI® Members and maintain this status by exceeding the required continuing educational credits. Three of our senior inspectors are past presidents of local ASHI® chapters. The American Society of Home Inspectors (ASHI®) is the oldest and most respected professional association for home inspectors in North America. ASHI®’s Standards of Practice, covering all of a home’s major systems, are specifically noted in state and federal legislation and recognized by consumers as the definitive standard for professional home inspections. ASHI® inspectors are also held to a strict Code of Ethics which protects consumers from conflicts of interest and assures an independent opinion regarding the property. The final product of a thorough inspection is the report. Our inspection reports exceed the industry standard, the on-site checklist. Some firms produce a software generated collection of “boilerplate” comments, usually written by the software tech who has never seen your property. Our custom, narrative style reports are typed individually for each inspection. It describes in detail the conditions of each building component. Defects and deficiencies are documented and are again listed as “Material Defects” in the final pages of the report. Also provided throughout the report are practical suggestions for maintenance, care, or improvements to components or systems to obtain maximum performance and life expectancy. The report is emailed the next business day. After inspecting 80,000 properties, our inspectors do in fact have the “vision” to assist you in the most expensive purchase of your life. As professional home inspectors, we do not have an emotional tie to the purchase of the building. Very similar to a doctor giving an individual a physical, he gives the current condition of the patient. Be it a person or a home, this allows the homeowner to either move forward with the purchase or step back due to the current condition of the property. We have no conflict of interest, as we cannot make repairs on homes we inspect. 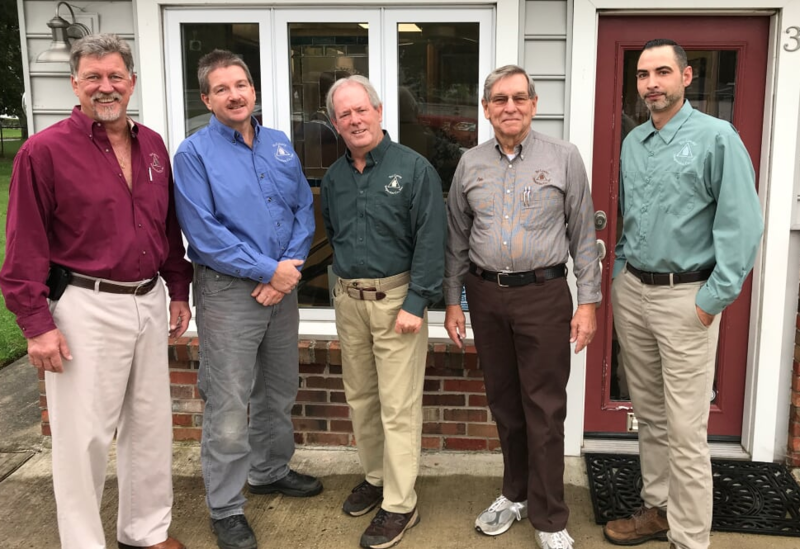 Tri-County Inspection Company, after serving 80,000 clients for the past 33 years, our brand is well established in both New Jersey and Southeastern Pennsylvania. We are proud to be assisting 1st, 2nd and 3rd generations of our clients. © 2018 Tri-County Inspection Co., Inc.